Planning for a date night can seem hectic. From making sure you have enough cash (beware of the late night cab surges) to preparing for unexpected beauty blunders, packing your beauty and makeup essentials for a night out may have you reaching for your largest tote bag instead of your new sparkly clutch. It’s time to ditch all of the excess accouterments and stick to the items that you know you’ll actually need: your beauty must-haves. Sounds easier said than done, right? Wrong! Keeping it simple starts with being practical. This means reaching for multi-purpose items and things you just can’t live without! Wondering what those might be? Here’s our take on the top date night beauty essentials that you’ll actually need. You’re heading to the restaurant to meet your date when you realize that the humidity has gotten the best of your hairstyle. Before you panic and cancel, reach for your travel-sized hair serum that you’ve packed in your clutch. This tiny bottle is the holy grail for hair. It helps to smooth away frizz and keep your hair looking polished all night long. You arrive at the restaurant only to realize that your date is running a bit late. No problem—have your waiter seat you at a table, order a glass of wine and take this moment to make sure your makeup is looking fresh. Notice a bit of shine from your pre-date jitters? Dab it away with a quick blotting sheet. Not only are these handy sheets amazing for subduing any excessive sheen, but they can also work wonders at erasing any makeup lines or unwanted powder buildup on the face. As the night goes on, your date has arrived and you haven’t stopped chatting since. All signs are looking good. Mid-way through your meal you excuse yourself to the restroom only to discover a rip in your tights. While your date probably hasn’t noticed this fashion nightmare, there is still time to prevent it from getting worse. Thankfully, you have packed a travel-sized hairspray in your clutch. 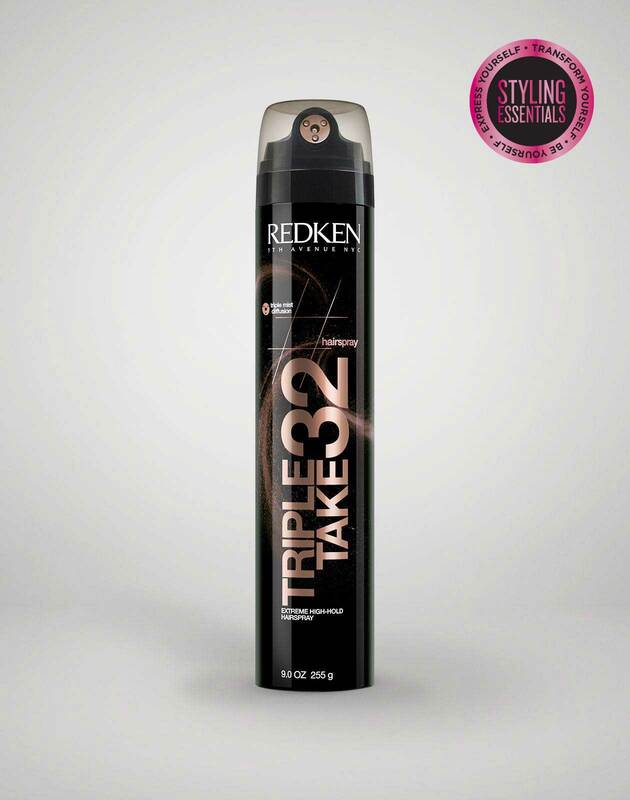 Simply spray the hair product along the edges of the tear to prevent it from snagging on anything else. Encountering other fashion blunders? Hairspray is also amazing at removing any lingering lint or diminishing the look makeup stains as well, according to Seventeen. While you’re still in the bathroom, this is the perfect time to touch up your makeup. Black mascara still in place? Check. Dark circles kept at bay? Double check. Now, head back out there and enjoy the rest of your date. As you and your date finish your meal, you both decide to head to a wine bar around the corner for a nightcap. However, after eating the best pasta of your life and chatting all night long, your lipstick is bound to have rubbed off. Keep your lipstick looking fresh by bringing your favorite shade with you in your handbag. We recommend reaching for matte lipsticks with formulas that dry down quickly, so you can lessen the number of touch-ups throughout the night. These also tend to be a bit dryer than glossier options, so they don’t move around on the lips. You decide it’s time to head home. Just in case, do yourself (and your date) a tremendous favor by always keeping mints in your bag. In fact, we suggest stashing mints in every bag you own. It’s a safe way to ensure that you always win the battle against bad breath no matter where you are. There you have it! A potentially disastrous date night rescued by the perfect beauty products. Think we left out any of your favorite date-night must haves? Snap a pick of your date night beauty must-haves and tag @Redken to show us your favorite products.